It’s happened again that something has gone missing here. I still never found the missing medicine pill, or the book of how to make flour and paste ornaments. I’m tired of looking for them, and maybe someday they will show up. 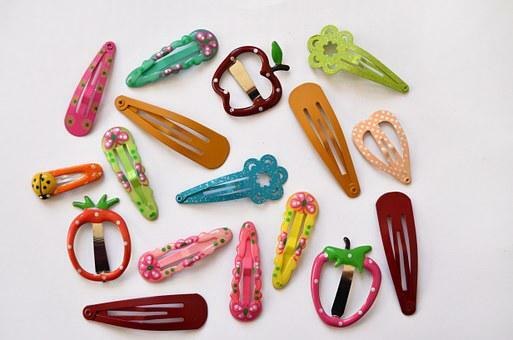 Now, though, I noticed yesterday that my hair clips are missing. Just completely gone somewhere. They are just simple metal clips, and I had them on the cardboard card that they came on when I bought them. I only keep such things in the bathroom where I do my hair and makeup in the mornings. There’d be no reason to have put them anywhere else. So where are they? I’ve looked everywhere I can in there, and can’t find them. It’s always some minor, insignificant thing that my house ghost takes. I’ve written before about my missing paring knives, items of clothing , brownie recipe, puzzle piece…and they all re-appear later or are brought back, some years later, or maybe just months, but eventually there they are in a noticeable place I’d looked a thousand times. Guess I’ll just wait and see for when and if the hair clips show up again. They look like these I found on Pixabay, but just plain black ones. Gremlins lurk in dark corners and wait until you’re not looking to wreak havoc with your life. I have some here too. In our house, it’s most likely Jasper! Ahh yes, the cat! We used to have Gretchen, and she was such a pack-rat. She’d steal anything she could and hide it under the bed. Artificial flowers, markers & pens, jewelry, underwear, dollar bills…it was funny. It is a mystery, especially when you know you have it, and then it just disappears! Maybe your sock will turn up one of these days. Ah the things that go missing. I, myself, am missing bras. I have no idea where they went, but I had a dozen of them. Now I have four. There’s only myself and my husband and they’re way too big for my husband. Plus, he’s not the bra type. So there’s that. I’ve searched high and low for them but I remain with four bras. It’s just… weird. I know, right? And this is the only house this has happened in. It’s so strange. If you had my daughters, you’d not ask that question, but I get ya. I hope they turn up. Best go holler to the bathroom spirits and give ’em what for! Since it’s just me and the mr. here though, it’s odd.